My first Rafflecopter giveaway has come to a close. It was a fun experience and I want to give a special thank you to everyone that entered. Okay, settle down. Nushrika won an autographed paperback of The Secret Queen, the third book in The Empyrical Tales. I wish everybody that entered could win. If you didn't win, stay tuned. I will do this again. Rafflecopter can now be integrated into Facebook, which should make for a smoother process next time. Story Nine takes a different turn as Ron shares some amazing poetry. His words are meditative and spiritual. 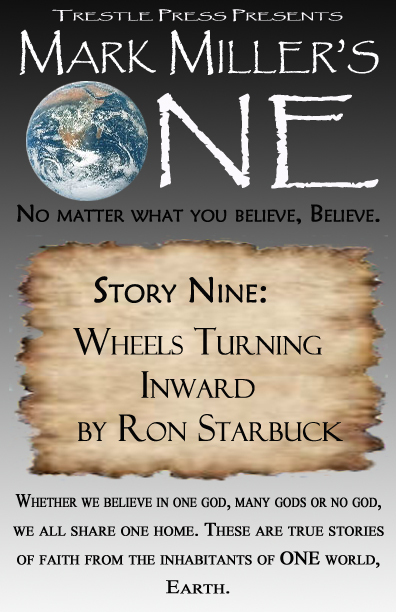 Here's the back cover synopsis: In Story Nine, poet Ron Starbuck explores the world from his Episcopalian background and through various forms of contemplative prayer. These selected poems from his first collection, Wheels Turning Inward, and from his second collection, When Angels are Born, share with the reader an expressive way to view the world. Ron has also been kind enough to include an exclusive poem that can only be found in the pages of One. I’ve been looking forward to this edition of One for a while now. It is a pleasure to have so many talented people contributing to this series. I cannot put one of them on a pedestal ahead of any other. What I can do is single out Ron for his poetry. It is true that we have several award-winning poets in this series, but only Ron is contributing poetry. After reading his work, I understand that it takes someone with skill and patience to communicate this level of expertise and emotion. Writing prose, I can belt out a thousand words in less than an hour. I haven’t written a poem for maybe five years. As Ron says, “You cannot manufacture poetry out of nothingness on a strict timeline.” I understand that better now. You don’t magically get that structure and message without the work and dedication. Ron also shared another idea with me. Besides being an Episcopalian, he has studied Christian theology and Buddhism extensively. He gave me new vocabulary for what we are trying to accomplish with this series. “Perichoresis is an ancient term in Christian theology, which refers to the indwelling of the Trinity, of how the Father, Son, and Holy Spirit are so intimately connected within their unity as one that there is an indwelling between them all. And that this indwelling is shared with us, in and through Christ, in the Paschal Mystery of Christ as the Incarnate Word, the Word Made Flesh. How appropriate, since not one of us can imagine living without words, living a life without words in some form.” The concept of interconnectedness predates Christianity far back to the early Buddhists. That knowledge and insight makes Ron an integral part of One. Like most boys, my youngest son developed a fascination for dinosaurs. He could name many species before he could read. At some point, I knew I would have to have dinosaurs in The Empyrical Tales. Afterall, I couldn't write a story only for my girls. I had to include things for my boys too! With only a few days left in the giveaway on my blog, I thought I would share some background on the dinosaurs of The Secret Queen. First off, in the land of Empyrean, the dinos are known as Arcosaurans and come from Arcenland to the far south of Empyrean. Arcenland is separated from the Southern Valley by an enchanted passage called the Unending Desert. Once in Arcenland, Olena learns that there are both good and bad Arcosaurans. In the Southern Valley, Olena meets women with cat heads, but in Arcenland some of the women have triceratops heads. Among the Arcosaurans she meets are the Parasauratitan, Emperor Li-Am (leader of the Carcharodans), Baharians and the fearsome Spinolock. To keep the theme of Egyptian mythology, all of the featured dinos can be found in the fossil record of Egypt and Northern Africa. The Parasauratitan is inspired by Paralititan Stromeri, one of the largest dinosaurs to ever walk the earth. Li-Am and his Carcharodan warriors were based on the Carcharodotosaurus Saharicus. This ferocious theropod got it's name because it's skull resembled that of a shark. The Baharians are smaller Arcosaurans that decided to help Li-Am, instead of becoming his dinner. Their inspiration is the Bahariasaurus Ingens. Spinolock comes from the infamous Spinosaurus Aegyptiacus. Assumed to be extinct in Arcenland, Olena's adventures may lead her into the jaws of an unpleasant surprise. Two of the nastiest dinos in The Secret Queen also have their character names based on my son's name. He couldn't be happier about that! For all you dinosaur fans, the book also includes a foreword written by paleontologist and television host "Dinosaur George" Blasing. I have to thank him every chance I get for his contribution to my research and The Secret Queen. I hope you found this interesting and would love to hear your comments! Thanks for reading! Remember to submit your entries on the Rafflecopter widget at the top right for a free autographed copy of The Secret Queen. 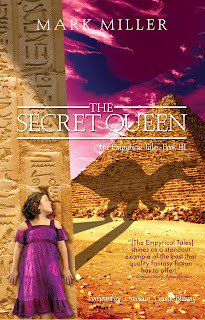 The Empyrical Tales Book III: The Secret Queen is out now and I am giving away a free autographed copy! All you have to do is visit my blog (http://empyricaltales.blogspot.com/) and enter on the right hand side. Even if you are already a fan of The Empyrical Tales on Facebook, you can still enter daily until June 30th. Login into the Rafflecopter widget with Facebook or Twitter, then complete the entries for the day. Each day you come back, you can enter again. The Secret Queen tells the story of young Olena and her adventures in the Southern Valley where she encounters dinosaurs! Even if you haven't read the first two books, this is a great story for kids and adults. If you want to start at the beginning, Book I: The Fourth Queen is still ONLY 99 Cents on Amazon Kindle! Hopefully folks in Mount Dora and Central Florida can stop by and see me! I love hearing from readers! I will be signing my latest release, Book III of The Empyrical Tales: The Secret Queen, and I will have a few surprises. First stop, Barrel of Books and Games in downtown Mount Dora. Today (June 2) from 4pm to 6pm, come check out this amazing store. They have a huge selection of new and used books. Plus, their collectibles are amazing. They have everything from Angry Birds to Big Bang Theory Bobbleheads to Star Wars. AT 144 W 5th Ave in Downtown Mt. Dora about 45 minutes from Orlando. On June 9th, I will be at HighFive Frozen Yogurt in the Loch Leven Landing shopping center. This one is for a good cause. Both the author and HighFive will be donating a portion of the proceeds to our local elementary school PTO. I will be there from 1pm to 4pm. I want to see somebody come challenge the HighFive Titan! The store is at 18977 US Hwy 441, in between Five Guys Burgers and Publix. For all you Kindle readers, I have the privilege of being one of the first to use Kindlegraph Live! Kindlegraph.com is a site where authors can personalize autographs for their digital readers. With KG Live, when you see me at an event, you can buy one of my eBooks on your eReader or smart phone. Then I can send you an autograph. 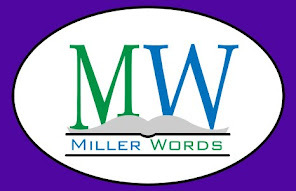 All you need is an email address, and it doesn't even have to be a Kindle address. Keep following my blog or follow on Facebook.com/EmpyricalTales to stay informed of the latest appearances. Part of the fun of writing an ongoing series is creating new characters with each story. I have the same core characters from the beginning (two of which I love almost like they were my own daughters). A large part of the newest plot has to do with a great guy I call Karl Lumpkin. Karl describes himself as a "free thinker of old". In The Secret Queen, he is a sixteen year old boy that has an uncanny knack of predicting the future. He is witty and odd. Karl serves as a big brother figure for Olena on her journey to the south. Some readers may recall Eisenhahn talking about Wizard Lumpkin in The Lost Queen. Is it possible that these are one and the same? Eisenhahn talks about an old man in his past, while Olena meets a young man in the present. I can say that there is definitely more to Karl than seen at first glance. With the official release of The Secret Queen today, you can meet all of the new characters that cross paths with Olena on her quest to discover the secret!